The 2017 Alive At The Bluebird concert series will welcome more than 100 songwriters including Jason Isbell, Michael McDonald, John Oates, Amy Grant, and Vince Gill. The benefit shows for Alive Hospice kick off Jan. 3, 2017 with hit songwriter Al Anderson and friends. The concert series has raised more than $900,000 for Alive Hospice over the years. By the end of the 2017 series, that total is expected to exceed $1 million. 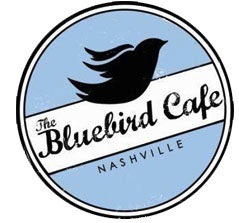 Alive At The Bluebird runs the month of January and includes 32 concerts. Select dates go on sale Friday, Dec. 9 at 8 a.m. CST. A full calendar of shows, marked A Benefit for Alive Hospice, is available at www.bluebirdcafe.com.